Product prices and availability are accurate as of 2019-04-18 17:53:58 EDT and are subject to change. Any price and availability information displayed on http://www.amazon.com/ at the time of purchase will apply to the purchase of this product. HD 960p at 25fps, 1.3MP, 3.6mm lens with 1/3 progressive CMOS image sensor. Provide a high quality image and video watching experience. Plus 10LED night version, with IR-CUT Auto Switch Filter, the cam will auto switch to night vision when it's dark. 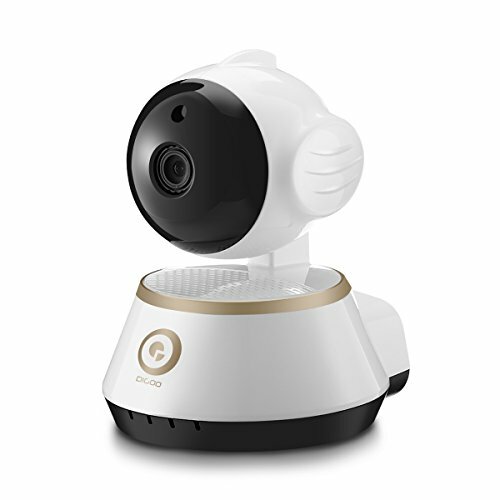 Pan/Tilt/Zoom Function: Combined with 355°horizontal & 90° vertical rotation range, creating a complete 360°coverage, support manually fine-tune the lens to make the focus image, not miss any corner in your home, suitable for large areas that need a quick scan (and tracks moving objects). Not just limited the single Parallel monitoring, up/down/left/right remote control as you like. 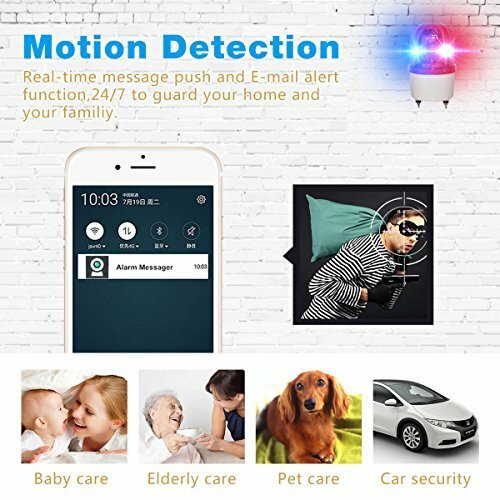 Motion detection and two-way audio: High sensitive alarm function, 24/7 real-time message push and E-mail alert to Ensure the safety of your home and property. Built-in two-way talking with 3D Digital Noise Reduction, providing high quality auditory sense and talking effect. Strong record function: To avoid the risk of losing the TF card, download the record in your smartphone to save the record forever. Ensure all your videos are safe, secure and protected. 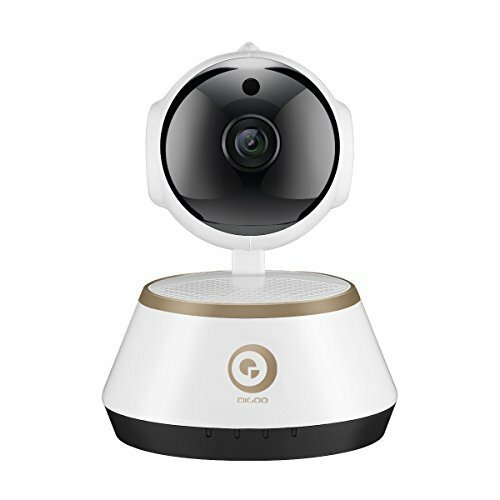 Provides the most efficient compression and the highest protection of data.Onvif and Multi Network Protocols support, just full enjoy mufti-platforms video sharing on IOS, Android, Windows PC, Tablet etc Incredibly easy to setting up: Support both Wireless and Wired network configuration. Using wired network setting up, the app will discover the cam once you plug the network cable to the Ethernet port. It can be wall/ceiling mounted or just put on a table, which enables it to moved to any room as required. Please note that no rechargeable battery built-in, need the power card stay in connected. Do not support 5Ghz wifi signal!! !